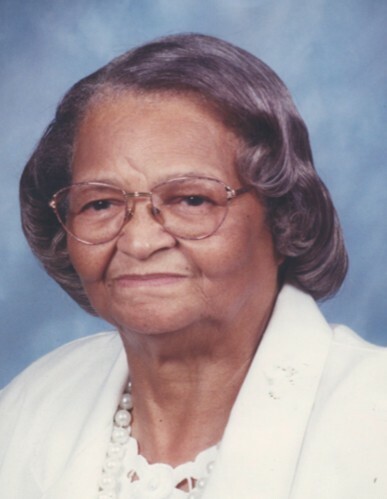 (Lancaster) Mable Anthony Ballard, 97, died Wednesday, November 28, 2018. Funeral Service will be held Sunday, December 2, 2018 at 1:00 P.M Crawford Funeral Home Chapel, Rev. Dr. Bennie Stinson and Rev. Kenneth Cauthen will officiate. Viewing will be Saturday, December 2, 2018 from 1:00 PM until 7:00 PM at Crawford Funeral Home. Mable A. Ballard, a daughter of the late Alfred Anthony and Estell Perry Anthony was born in Heath Springs, SC on January 1, 1921. Survivors include two daughters, Johnnie Bell Davis and Blanchie Mae Rutledge both of Lancaster, SC, one son, Alfred Reed Ballard of New York, NY, eight grandchildren, eleven great grandchildren and ten great great grandchildren.